The widening works were the next stage of the Upgrade of the Southern Approach to Cairns project. The expansion of this part of the Bruce Highway from four to six lanes will increase safety, and improve travel times. 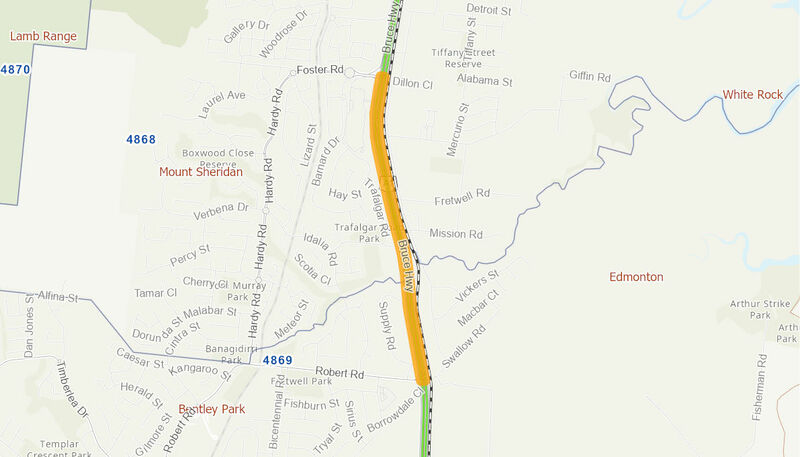 The addition of the service road on the eastern side of the highway will improve access to and from the Bruce Highway and the new Robert Road signalised intersection will reduce the number and severity of crashes. The Australian Government committed up to $46.4 million towards the project, in partnership with the Queensland Government. Construction commenced in June 2016 and was completed ahead of schedule in August 2017.